Customer outrage has forced Sydney Trains to reinstate Redfern as a stop on some Blue Mountains Line express services to and from the City. 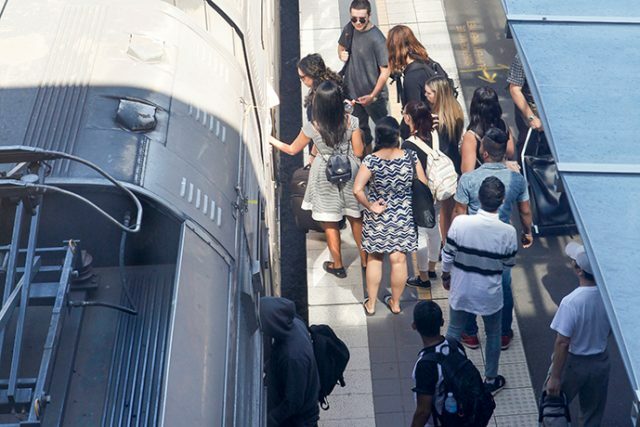 Penrith and Blue Mountains commuters were fuming when Redfern was removed as a stop on the services when a new timetable was introduced in November last year. Transport Minister Andrew Constance defended the move despite Redfern emerging as a major employment hub and the popularity of the station with University of Sydney students. But today Sydney Trains boss Howard Collins said “feedback had been listened to”. “We’ve always said we’re listening to customers and open to tweaking the new timetable and reintroducing the stop is a perfect example,” Mr Collins said. In the morning peak, the 5.44am, 6.14am and 6.45am Mount Victoria to Central services will stop at Redfern, while in the afternoon peak the 4.33pm, 5.03pm and 5.33pm Central to Blue Mountains services will pick up from Redfern. The changes will be implemented as soon as possible following briefing of operational staff. Londonderry MP Prue Car welcomed the news. “After months of lobbying from Local representatives, community members and media outlets such as the Western Weekender newspaper – the State Government today caved to pressure and announced that Redfern Station would be reinstated on the Blue Mountains line,” she said. “Redfern Station should never have been taken from the Blue Mountains line especially without community consultation.